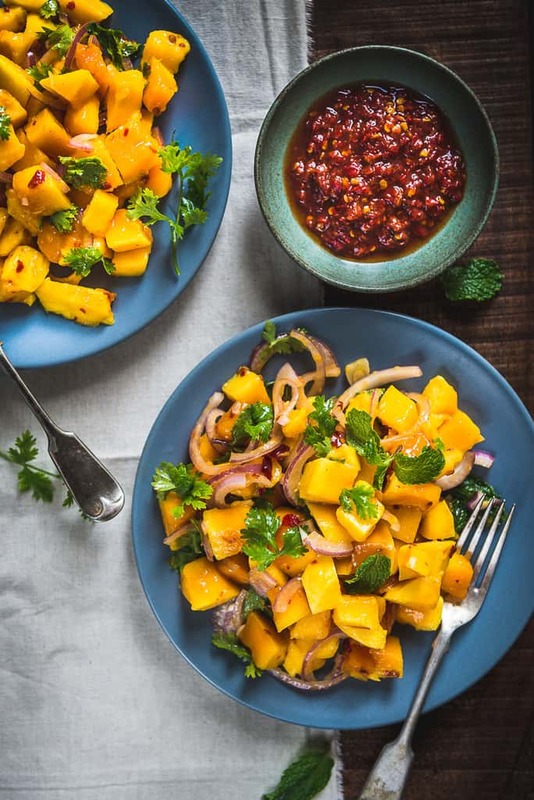 Malaysian Ripe Mango Salad is an overload of awesomeness during summer. Munch on it, while mangoes are in season. Here is how to make it. More than any other season of the year, I wait eagerly for summer. Firstly, relishing chilled coolers feels awesome during summer, also as a plethora of seasonal fruits such as mango, watermelon et al arrive, I can craft new recipes back to back. Malaysian Ripe Mango Salad is one such dish that I prepared before few days. Now that you are aware of my love for the king of fruits, you know that once the mangoes arrive, there is no looking back for me, right? This has this refreshing blend of varied ingredients such as ripe mangoes, red onion, fresh coriander, mint leaves, and sambal paste et al. It is nothing but a delight to munch of a fresh bowl of Malaysian Ripe Mango Salad as a first thing in the morning! Onions and mangoes pair up really well be it while preparing chutneys, tangy summer sides/accompaniments and there was no exception made when it came to Malaysian Ripe Mango Salad, it was loaded with awesomeness as well. 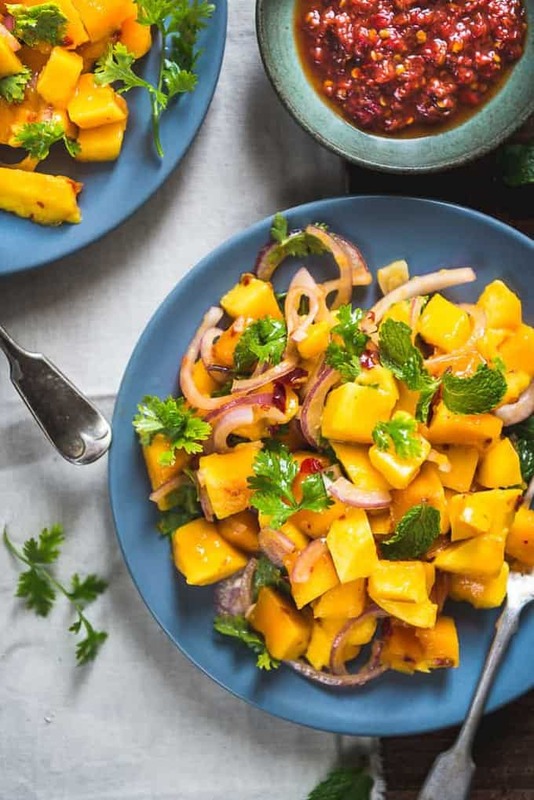 Beat the heat during these last days of summer with this lip-smacking Malaysian Ripe Mango Salad. Do note down the interesting recipe for preparing the same. 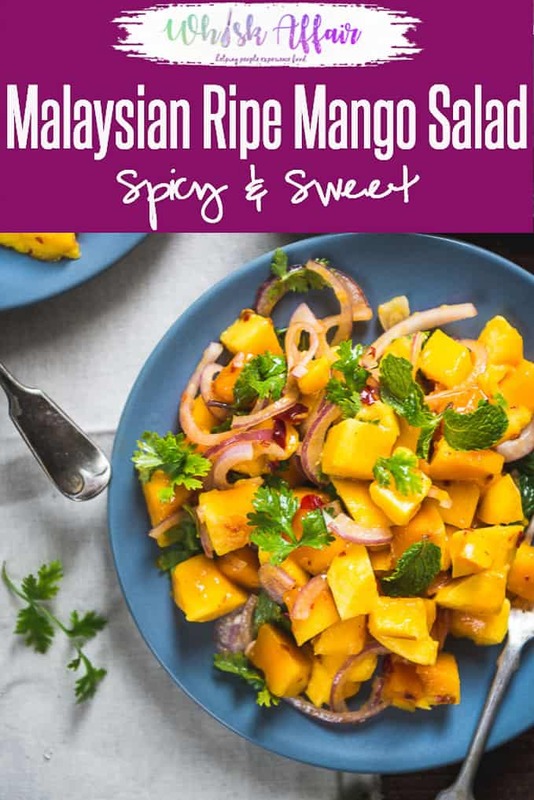 It is so easy to prepare that I bet you would eat a chilled bowl of Malaysian Ripe Mango Salad almost every day till the king of fruits is available in the market! 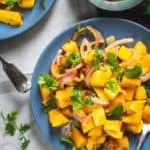 Malaysian Ripe Mango Salad is an overload of awesomeness during summer. Munch on it, read its recipe!Here is how to make it. Thnx Ron. Do try. I am sure you will love it.